Jerry Coyne is an evolutionary biologist at the University of Chicago. 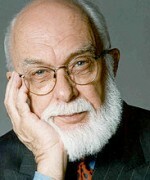 He is the author of the bestselling Why Evolution is True and writes a blog of the same name. 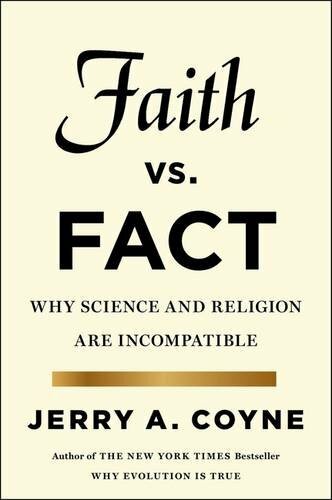 His most recent book is Faith Versus Fact: Why Science and Religion Are Incompatible. I know you had a hard time narrowing your list down to just five books on evolution. In the end you chose books that are not only accessible, but also your personal favourites. Yes. There are books, like Richard Dawkins’s The Ancestor’s Tale or The Greatest Show on Earth, which give you evidence for evolution and are educational. But they weren’t inspirational to me in the way that these five books are. These are books that would be of benefit not only to the layperson but also to the working biologist. I actually canvassed a lot of my colleagues, who are all evolutionary biologists, to get their ideas about what books to recommend. Most of them said they don’t read popular books on evolution, which I found kind of appalling. You can always learn stuff – nobody knows everything about evolution. Also, these books teach you how to write, how to promulgate your ideas and be a better educator. That’s part of our function as scientists, to communicate what we do. I left aside more technical, textbook-type titles like The Selfish Gene by Dawkins and Adaptation and Natural Selection by George Williams, which is a bit of an arcane book. They’re inspirational to me as a scientist, but not so much as a scientist interested in communicating with the general public. It was a tough call. I had to leave out Carl Sagan. The good thing is that there is a plethora of books out there to educate the public about evolutionary biology. The bad thing is that the public doesn’t seem to be reading them, because 40% of Americans still reject evolution. Your first choice, perhaps unsurprisingly, is Charles Darwin’s On the Origin of Species. Specifically, you’ve recommended the “annotated” version – a facsimile of the first edition – which is considered the best edition for general readers. Tell me why you chose it, when you first read it and why it inspired you. The reason why I chose The Origin is because of all the books that have ever been written on science that are accessible to the layperson, this is the most important. It’s the one book you have to have read if you want to be considered an educated person. An educated person is someone who knows at least a little bit about the major disciplines in human endeavour. And in biology, this is what you need to know – not only historically but also contemporaneously, because Darwin was right, and still is right, about so many things. I first read The Origin as an undergraduate. I’ve read it every year or two since then, so I must have read it 20 times. Each time I read it I get something out of it. I think it was Freud who said that, historically, there have been two great revolutions in human thought spurred by science over history. The first was the [Copernican] discovery that the earth wasn’t the centre of the universe. The second was the discovery that humans are just animals who evolved, like all other animals. And that was from Darwin. To read The Origin properly, you must put yourself in the position of a Victorian reader – who is religious, who thinks humans have been specially created – and see how your worldview is turned inside out by these 500-odd pages of prose. You actually participate, when you read this book, in the revolution in humanity’s worldview, in its self-image, that took place in the latter part of the 19th century. The Origin came out 150 years ago, and it’s still readable, it’s still accessible. Isn’t it quite hard to get through? It is written in Victorian prose. But if you can read George Eliot or Jane Austen, I don’t think you’ll have much trouble with it. The difficulty comes with trying to unpack what he says about science in some places. His chapters on hybridism are pretty dire. Sometimes he gets deeply confused himself. He wasn’t right about everything, and that’s why I recommend the annotated version. Yes, you mentioned that in the annotated edition there are margin notes that explain the hard bits. There’s also another book that explains it in more detail. 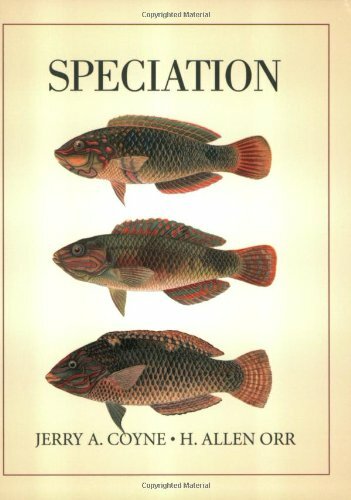 It’s called An Interpretative Guide to the Origin of Species by David Reznick, with an introduction by Michael Ruse. They’re trying to re-explain The Origin in modern prose. If you have trouble with The Origin, you might want to consult that. But I think the annotated version I recommend might be sufficient. 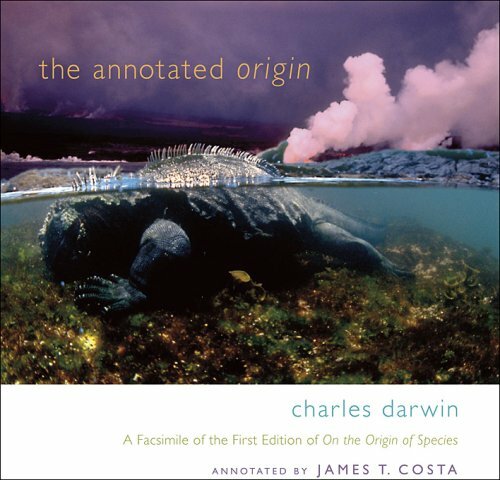 Do all biology students read the original Darwin? No, they don’t. You’d be surprised how many evolutionary biologists haven’t read The Origin. Professionals! None of the biology students at the University of Chicago read it. I tried to make my undergraduates read it in class and they balked. They don’t want to read 500 pages of Victorian prose. So then I give them an abridged version, which is not really satisfactory. They don’t even like that. That’s what led me to write my own book. A lot of the evidence in the book is taken from Darwin, but it’s written in a way that makes it more accessible. What I liked about reading Darwin was this strong sense of him as a working naturalist. He came up with this world-changing theory, but he did so by looking at pigeons. It’s the constant and very detailed observation of animals and plants. He was definitely an inductive reasoner, building up the big picture from details. One thing people don’t realise about The Origin is that the rhetoric is magnificent. It’s built on anecdotes and details, all of which are carefully designed to one single end, and it gradually dawns on the reader that Darwin is right. What he’s doing is assailing you from all sides with evidence from different areas of biology – from animal breeding (to show that natural selection can work because artificial selection does), from geography, from embryology. He didn’t have much of a fossil record, so he doesn’t talk a lot about fossils, but he does talk about vestigial organs. And all that comes together to point to one ineluctable conclusion – that evolution happens and probably by natural selection. All the details are carefully chosen from a much larger series of details that Darwin never published. The Origin was supposed to be an abstract for a much larger book, a bit of which still survives and is called The Red Book. He wasn’t going to write The Origin as it stands, but he was forced to because he had competition. Alfred Russel Wallace had come up with the same idea. So Darwin wrote it quickly – otherwise it would have been even longer. It’s the evidence that convinced people more than anything else. You can’t just say, “This is my theory about how things work” and have it persuade people without supporting data. That’s why Darwin was such a success and Alfred Russel Wallace wasn’t. Wallace published a short note in 1858, and that was it. Darwin supported his theory with all these details. It’s just magisterial. He spent years writing to naturalists, to breeders, to obscure people in different corners of the world and collecting all this stuff. Then he built it into an edifice which changed the world. We’re still feeling the repercussions of it today, particularly in America where people absolutely refuse to believe it, simply because it goes against their religious beliefs. Darwin has this nice line in the conclusion, about how “no one now objects” to gravity but when Isaac Newton first proved its existence, Leibnitz said it was an “occult” force and subversive of religion. I guess it takes a long time for people to accept these things. That was part of his rhetorical strategy as well. If you read the famous last line of The Origin, he goes back to the idea of planets cycling around each other and around the sun according to the law of gravity, and compares that to his law of natural selection causing evolution. But for some reason it has taken people longer to accept evolution than gravity. Evolution was not rejected because there is anything wrong with it. It was rejected because it went against people’s religious beliefs. There is no other way to understand it. If you look across countries of the world, you see a dramatic negative correlation between the degree of religiosity and the acceptance of the theory of evolution. The more religious the country is, the less willing they are to accept Darwin. 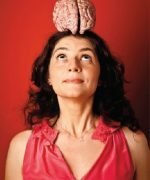 Countries like Sweden, Denmark, France and Norway, with high degrees of Darwin acceptance – up to 80-90% – have low degrees of religiosity, 10-20% (defined as “Do you pray every day?”) That suggests to me that people are conditioned to reject evolution because of their preconceived religious beliefs. If we didn’t have religion in this world, there would be no controversy. Evolutionary biology would be something as broadly accepted as the germ theory of disease. Your second book is the biography of Darwin by Janet Browne. She is a historian of science and edited eight volumes of Darwin’s correspondence, so she knows what she’s talking about. But readers on Amazon.com also said it was a real cliffhanger. This book may be the best scientific biography that I’ve ever read. I was quite surprised, as Janet’s previous publications have been largely scholarly ones, though well written. Then, somehow, when she wrote this biography she came into her own. She was able to write in an almost novelistic way, except this is fact and not fiction. It’s just absolutely engrossing. 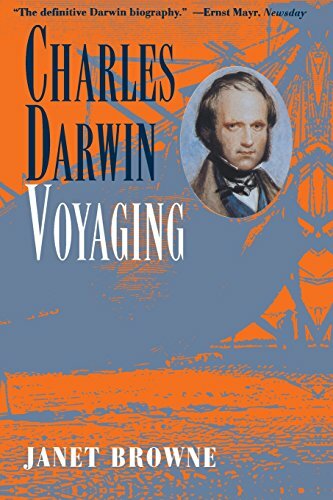 The first volume, Voyaging, is about Darwin’s early life and the voyage of the Beagle. In the first part of his life, he is a man of action. He’s catching beetles as a kid, he’s travelling around England trying to study theology and failing to do so. Finally he becomes the companion to the ship’s captain, Captain Fitzroy – not the naturalist on the Beagle, that was someone else. On the voyage he did a lot of collecting, he rode into South America. He left the ship as often as he could as he had terrible seasickness. He collected fossils, he shot animals and so on. Then he got back to England in 1836 and basically sat in his study for the rest of his life. The second volume is called The Power of Place, and it’s about his life at Down House where he stayed permanently after then. He never left England again. He just sat there and produced this magnificent theory. It shows the power of the life of the mind. Despite not being peripatetic, he had an extremely rich life through his correspondence, his children, his family. Also a slightly tragic existence, with the death of his beloved daughter. But he continued the adventure in his head, and produced not only The Origin but a number of other books, many of which are quite good. I noticed in The Origin that people were sending him specimens from all over the world. Birds from India and Persia for example. He got material, but far more often people would send him letters. He would write to someone saying, “Is it true that in Kazakhstan you found a donkey that was born with stripes on it?” And the guy would write back and say, “Yes, I have a donkey with stripes on it”. From that Darwin would deduce that the ancestral horse, that gave rise to the donkey, had stripes and this was an ancestral trait that had reappeared. It was this constant accumulation of detail. It must have been quite exciting. His mail alone must have been very interesting. Plus he was doing experiments, and getting his kids to do them – like soaking seeds in seawater to see if they could survive the long periods it would take them to get across the ocean. All while suffering very bad health. Yes, it’s incredible how much he managed to get done, because he was an invalid for the greater part of his adult life. There has been a lot of speculation about what made him sick. Janet doesn’t go into that much, but people are starting to think he had something called cyclical vomiting syndrome. 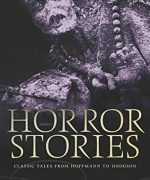 He had all sorts of horrible symptoms – constant vomiting, headaches, depression, fits of crying. The biography also touches on a suggestion that Darwin delayed in publishing The Origin because his wife was deeply religious and he was worried about the effect it would have on her. Is that right? There’s also a discussion of this delay in the Gould book I recommended, Ever Since Darwin. I think the best guess is that the delay wasn’t because his wife was religious. But I think his wife’s religiosity was the reason why there is nothing in The Origin about the evolution of humans. There’s only one sentence, which says something like “light will be shed on the origin of man”. That’s it! It is manifestly clear that he did that on purpose, because he didn’t want to get into religious controversies at that stage of his career. He wanted to convince people that evolution had occurred, and obviously the conclusion would be that humans had also evolved. But it was only 12 years later, in 1871, that he published The Descent of Man, which was much more explicit about the evolutionary origin of humans. I think the reason he had been delaying is because he wanted to be absolutely sure that he was right. Darwin was very careful to make statements that were completely accurate. So throughout The Origin, you will see him hedging, saying, “Well, maybe this is wrong,” or, “Here’s a possible objection you may raise as a reader”. It’s part of his rhetorical strategy, but it’s also part of being a good scientist. He’s always trying to find out what would prove him wrong and deal with those objections. There’s even a chapter in The Origin called “Difficulties on Theory” about the problems with it. One of these was the evolution of a bee colony, with all these sterile workers helping their mother. 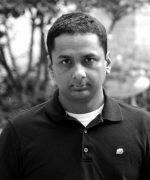 How can sterility possibly be of evolutionary advantage? Even for us today, he’s a model scientist in the care with which he does things. This is all described in Janet’s book in a way that you cannot get from reading just The Origin. She provides a view of the man, his life and the adversities that he overcame, everything that fed into this revolutionary work of human thought. What about his own religious views? Was he an atheist? When he was younger he was probably religious by default, in the way that most liberal people were religious in Britain back then. He was actually going to train to be a minister, but didn’t like it very much. As he became older, he started shedding all these appurtenances of belief. He would still use words like Creator. For example, he says in The Origin that the Creator breathed life into one or more original forms of life. People take that to mean that he was religious. But if you read his autobiography, or his letters to [Thomas] Huxley and others, it’s clear that he didn’t believe in any kind of personal God at all. He says, for example, that he could not believe that a God could exist who would design a cat that would torture mice, or a wasp whose larvae eat their prey from the inside. The horrors of nature convinced him that the world was a naturalistic, materialistic phenomenon. I doubt there was any vestige of real religion left in Darwin by the time he was a middle-aged man. He didn’t go to church even though his wife, Emma, did. And he never made any expression of religious belief. Creationists are always trying to promulgate the myth that Darwin was religious, but there’s simply no evidence for it. Almost all of us who have read Darwin realise that. He may have called himself an agnostic – which is, by the way, a term invented by his friend Huxley – because atheist was a strong word back then. But I don’t think he believed in God, and I’m pretty sure he didn’t think he was going to go anywhere after he died. Why do creationists care whether he was religious or not? Surely he’s anathema to them? They want him to be religious in the same way that they want Christopher Hitchens to be religious. Hitchens is seriously ill and may die, and they’re thinking, “This’ll show him!” So they like to think that Darwin, despite the fact that he came up with this theory, still believed in God. Remember that evolution is not anathema to all religious people. A lot of religious people accept evolution. They’re accommodationists. People like to think there is no inherent conflict between science – in particular evolution – and religion, and to show that Darwin could have been a religious man shows that religion and science can be friends. I don’t think they can, no. To me, they are completely conflictual world views. People always point to the fact that Francis Collins, head of the National Institutes of Health, is an evangelical Christian. They use him as an example that religion and science are not incompatible, because here you have a religious scientist. They’re trying to do the same with Darwin. To me, showing that somebody can hold two diametrically opposed views of truth in their head at the same time doesn’t show these two views are compatible, but simply that humans have a remarkable ability to compartmentalise. Up next is a confirmed atheist, Richard Dawkins. You’ve gone with The Blind Watchmaker. Does that mean that if someone were going to read only one book by Dawkins it should be this one? It was a tough decision. Climbing Mount Improbable is a similar book that’s very good, The Extended Phenotype is another one. I would say read all of Dawkins – that would be my recommendation. But if I had to pick just one self-contained book that lays out Dawkins’s philosophy and methodology, and shows his literary skills, I would have to pick this one. His most famous book is The Selfish Gene because it lays out the gene-centred view of evolution, but it’s a bit of a tough slog. All the stuff you find in it you can also find in The Blind Watchmaker. Will you explain why he chose that particular title. This is the original version of intelligent design. It comes from William Paley, who was a natural theologian in the 18th century. Paley wrote a book called Natural Theology to try to explain why the perfection of animals testifies to the existence of God. He says, “I’m walking across Hampstead Heath, my foot pitches up against a watch, I look at this thing and it’s marvellous. It has these cogs and gears, it tells the time and the time is correct. It is extremely well made for what it does”. Then he says, “Look at an animal”. In my book I use the example of a woodpecker. It has a tough beak, it has stiff tail feathers to prop it against a tree, it can hit its head 15 times a second at 16 miles an hour against the trunk without hurting its brain because it has padding around its brain. Its eyes close at the moment of striking so it doesn’t get woodchips in its eyes, it has feathers in its nostrils so it doesn’t inhale woodchips. A woodpecker is the organic equivalent of a watch. Paley’s view is that since you can infer the existence of a designer or watchmaker from looking at the perfection of a watch, you must be able to infer the existence of a designer from looking at the perfection of animals and plants. That was basically the worldview of all biologists before Darwin: that the perfection of nature testified to the glory of the Creator. That’s what Darwin changed in The Origin. He showed that that perfection of design could be arrived at through a completely blind, purposeless and materialistic process. That is the reason why Darwinism is so despised by religious people. I can’t speak for Richard, but it’s pretty clear that natural selection, which is what the book is about, is the blind watchmaker. It produces things as intricate as a watch and even more so. Any animal is infinitely more complex than a watch is, but that animal has been produced by the simple, materialistic, blind, purposeless process of natural selection. 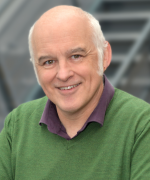 The whole point of Richard’s book is to show that we no longer need recourse to a celestial designer to explain the wonders of nature and the marvellous “design” of organisms. Because the previous books you’ve chosen haven’t done that? It’s implicit in Darwin, but he doesn’t go into detail. He did not go into a polemic about how his theory would replace natural theology. Darwin was not a polemicist in the way Richard is, hammering it into people. But Dawkins is also describing the details of the process. Yes, he’s working out the details and showing all the amazing ways that we’ve learned, since Darwin, that this blind materialistic process operates. He goes through kin selection, arms races, all sorts of modern aspects of evolution. When you first read The Blind Watchmaker was there stuff in it that you didn’t already know? That’s magnificent prose that tells you exactly what is going on in language which is clearly literary. It teaches you how to write as a scientist. The whole book is filled with passages like that. There’s another one where he is contemplating the seeds dropping by the bank of the river on which his house sits. He writes, “It’s raining DNA,” and from there he goes into his discussion on the dispersion of seeds and why that’s beneficial. So there is the literary aspect. Second, I’ve always thought of Dawkins as an extremely smart child. He is not a child of course, he’s a really brilliant man. But he looks at things with the eyes of a child, in a way that I don’t think any scientist who wrote really well, including Stephen Jay Gould, ever could. He sees things with this fresh viewpoint that brings them alive. Plus you get a sense of the man. I think that’s another reason he’s such a popular writer. You feel that behind the prose there is a person whom you know, and whom most people like. And I did learn some new things about natural selection from it. Not so much in the principles – which are few and clear to most of us – but from the examples he uses. For example, in chapter two he has an exposition of how bats use sonar to find their prey. It’s really an amazing and engrossing description of a single adaptation, far more complex than a watch – how bats echolocate and all of the things that are involved in it. It’s very complicated and he describes it magnificently. I had no idea about any of that stuff. When you read it, it just impresses you with the amazing perfection this process can come up with. They say scientists are spiritual. I hate to use that word, because of its connotations of religiosity. But the feeling of awe at what this simple process of natural selection can do is something that’s pervasive in Dawkins’s book. Doesn’t he put a lot of emphasis on the eye in this book? Yes, he picks up the old saw of “What use is half an eye?” Again, that’s an intelligent design objection: How can evolution possibly produce a feature which doesn’t work unless all the parts are there simultaneously? And he shows that rudimentary eyes can be built up bit by bit, each one being functional, and each advance representing an adaptive improvement over the form before. 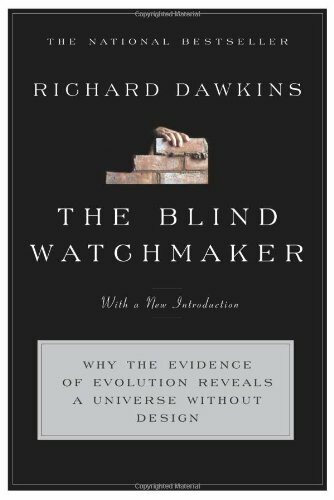 Many of the common misconceptions or objections to evolution are dealt with in The Blind Watchmaker, which is another reason why it’s good. It’s implicitly anti-creationist. Another objection he deals with is the idea that evolution cannot make complexity, or build up an increase in the information encoded in organisms’ DNA. He has very good examples dispelling that. He’s a master teacher about this stuff. Even as a professional, you can learn so much from him about how to write, how to teach. You learn the importance of examples, and you get a sense of wonder. Which, after all, is what keeps most of us evolutionists going from day to day. Next up is Stephen Jay Gould. Did he teach you at Harvard? I took one of his classes and he was on my thesis committee. I knew him quite well. Gould was a brilliant man and a credit to the field. He was a polymath. He got more stuff done in a day than any scientist I’ve ever known in my life, mainly because he subsisted on almost no sleep and he worked all the time. He was an excellent teacher, just like my own adviser Richard Lewontin. Both of them were part of the anti-sociobiology movement at Harvard when I was there, the Marxist collective that they had. I had a lot of respect for Gould, but over the years it waned. He became enamoured of his theory of punctuated equilibrium which I thought was really wrong. I still do. He and I had several exchanges in the literature about that theory, with me saying it was bunk and him saying it wasn’t. His intransigence in the face of the facts made me lose some respect for him. Also, he had extreme positions towards sociobiology, almost to the point where he wanted to deny the existence of any differences between human groups at all. He had this Marxist viewpoint towards biology which in the end made him almost reject natural selection, or at least relegate it to a very minor part in the history of life. The other thing I would say about him is that as he grew older and got more lionised, his prose began to suffer. That’s why the books I’ve chosen are early ones. The book that was published just before his death, The Structure of Evolutionary Theory, is almost unreadable. You’re supposed to be saying positive things about him! I’m sorry. You asked me about my relationship with him. I consider Gould and Dawkins the two greatest science writers of our time. I think Gould’s lasting legacy in science will be twofold. First, his books and his popularisation of evolution. Second, his contribution to bringing back palaeontology as an important part of evolutionary biology. It had been marginalised but Gould’s own activities and vociferousness, his lectures and writings, made people see that palaeontology was exciting and had something to say to evolution. I’m recommending these books because I think people would profit from them. Gould as a man was a flawed individual. He made mistakes with his science. To people that knew him he was a somewhat arrogant and blustering individual. But we all know that jerks can produce magnificent work. It’s no denigration of his books to say that a lot of his pure scientific stuff was wrong and his later prose was bloated and overblown. But the early stuff is magnificent. I’ve always felt that we evolutionary biologists are the most fortunate of all scientists, because the whole purview of life is our study. On any given day, I’ll be reading papers on molecular biology, on biogeography, on physiology, on embryology, on the fossil record. It all rolls into the process of evolution. There is always something exciting that comes up and I think it’s Gould and Dawkins who best convey that excitement to the general reader. Tell me about The Mismeasure of Man, and the revelations that have come out about it recently, which perhaps encapsulate some of Gould’s contradictions. 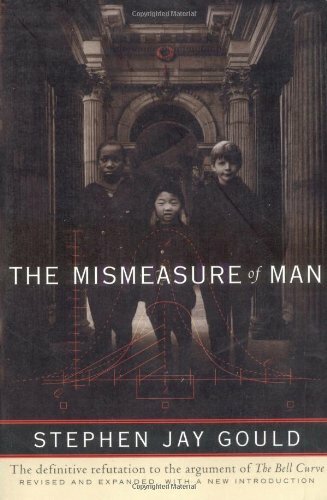 The Mismeasure of Man is about the history of using science as a tool for promoting racism. It involves things like the early cranial measurements that were used to show that the skulls of blacks and Indians are smaller than those of whites. He debunks that, and then goes through eugenics and IQ testing to show that at every step of this process scientists, based on their own racial prejudices, contributed to the stereotyping of people. He is not just saying that racism is wrong and that science participated in it, but he actually takes apart the data, which is particularly telling in the case of IQ testing. It’s written so well, and it’s so engrossing. There’s a lot of statistics and discussion of mathematics in there, but it’s a really good book – in the last couple of paragraphs you can find some of the finest prose I’ve seen written in science. That said, a paper just came out a couple of weeks ago showing that Gould screwed up in a small part of this book. It’s about the cranial measurements by Samuel Morton, who measured skulls by filling them with seeds and buckshot to show that the skulls of “inferior” races had smaller brains. A group of people reanalysed Gould’s analysis and found he was completely wrong. So those 20 to 30 pages of the book are discredited. But I would still say that this is his finest stand-alone book. It’s well worth reading, if for nothing else than to remind us that scientists are human. We have our own biases and very often, although we try not to let them, they feed into our scientific results. Gould is really good on that, and we have to be careful about it. The other book of his I would recommend is Wonderful Life, about fossils. Gould’s analysis turned out to be largely wrong. He saw these particular fossils [in the Burgess Shale of British Columbia] as forms of life that had completely vanished, leaving no traces, and so he argued that modern life could have turned out very differently. If certain things hadn’t happened, like the asteroid striking the earth, if you rewound the tape of life and started over again, things might be completely different from how they are now. We might not even have humans. That was the point of the book. 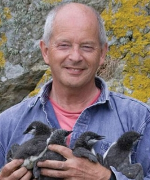 It turns out that most of the fossils that Gould described are actually now recognised to be parts of existing animal groups, so that aspect of the book is wrong. But it hardly matters, because most of it is about the description of these amazing imprint fossils from the Canadian Rockies – what they looked like, and what they were. Although, strictly speaking, Gould is just one of your five choices, you also want to recommend his essays. Yes, because if I had to choose one thing of Gould’s to read, and you asked me if it would be an essay or a book, I wouldn’t know where to come down. You have to read both. I’m recommending his first collection, Ever Since Darwin, but there are many equally good early collections. There are some nice essays in there, for example about why Darwin himself didn’t use the word evolution, and how he was not the naturalist aboard the Beagle. Yes, it supplements the whole thing – what Darwin really did, what he meant, what was going on in his life at the time. Then Gould goes on to other things like sociobiology. In this book he’s much milder about sociobiology and is pretty accurate. He dispels many misconceptions about evolution, and then has lots of examples of interesting features of evolution – the Irish elk, the fly that eats its mother from the inside. Like Dawkins, Gould is a master of the anecdote, using these small details to tell larger tales. Your last book is Evolution: What the Fossils Say and Why It Matters by Donald Prothero. 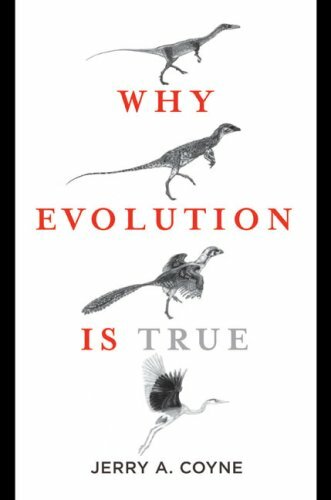 This is the wildcard on my list, the one book that evolution aficionados might not have heard of. It’s important because it is the one book that really lays out in great detail, for the non-specialist, some of the strongest evidence for evolution, which is the fossil record. Don Prothero is a professor in California. This book is more like a textbook than any of the others. But it’s written in a popular style and is easily accessible to the layperson. If you doubted that evolution was true before, and then you looked at this book, I don’t see how you could possibly continue to question it. 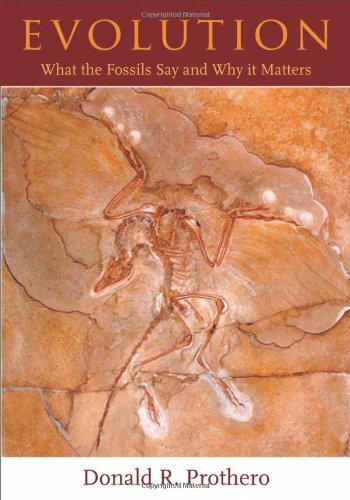 It’s stuffed full of figures showing fossil transitions, and descriptions of the evolutionary process. I found it fascinating and absolutely convincing. It supplements Darwin, who had almost no fossils. That is what amazes me about Darwin. He came up with the theory that predicted there must have lived, at some point, a creature that was half-way between ape and man. But he never saw it himself. He didn’t live to see the confirmation we’ve had through fossils. It just goes to show that the evidence for evolution is so strong and multifarious, and from so many disciplines, that even if you leave out one area – like the fossil record – the evidence will still be massive. Darwin did have some fossils and he used fossils in a couple of examples. But he had no transitional fossils showing the origin of major new types of animals. In his 1871 book [The Descent of Man] he says that it is more probable than not that the ancestors of humans were primates that lived in Africa. That was prescient, because they didn’t find those until the 1920s. Prothero’s book, more so than any book that is accessible today, fills in that missing evidence from Darwin. You can tell people about biogeography or embryology and how they attest to evolution, but in the end people like to see a good old fossil in front of them. There’s nothing like looking at an Australopithecus in a museum – something that has a human-like post-cranial skeleton with an ape-like skull perched on top of it – to really drive home the fact that there were these three and four-foot creatures that were half-way between us and our primate ancestors. This book is just full of them. And humans are just a small part of the book. It’s about the evolution of whales from land animals, of reptiles from amphibians, of mammals from reptiles and amphibians from fish. All of these major transitions in the history of life are documented. If you’re one of these people who likes to read Dawkins, Gould and Darwin, I would highly recommend Prothero’s book. I’d love to give it more publicity because it deserves a much wider audience. Many of us need to improve our understanding of evolution, don’t we? In the introduction to the Dawkins book, he points out that “if more doctors understood Darwinism, humanity would not now be facing a crisis of antibiotic resistance”. That’s probably true. Antibiotics have definitely been overprescribed. But, interestingly, there are no creationists when it comes to antibiotics. There’s a cartoon about that in Prothero’s book – a creationist opting for the drug that the bugs haven’t developed immunity to. But it’s more just a practical thing. If you’re a doctor, and a drug stops working because you use it too much and people become resistant to it, you stop using it. The theoretical basis is natural selection, but you don’t really have to understand that to take the proper action. I’ve always thought the practical applications of evolutionary biology to medicine are pretty overblown. My colleagues are going to kill me for saying that, but in general I think of evolutionary biology more as an adventure of the human spirit than as a way of making money or helping us get healthier. And your own book, Why Evolution is True, really does capture that. You go through all the evidence for evolution in a very clear and entertaining way, but you also convey to your readers this amazing wonder for the natural world. After reading it I did look at the world around me in a different way, with greater appreciation for all the living things in it. The last part of the book, about the meaning in life it gives you, was very moving. I really was not trying to produce any literary classic. But I was trying to show that when you understand how evolution works your appreciation of the world is immensely enhanced. That’s one of the great lessons from the books Gould and Dawkins have written. There are all these people who say that scientism and reductionism and evolution take away the wonder of the world. I guess their wonder comes from the contemplation of a non-existent celestial realm. But when you can see these material processes at work, and realise that it’s a true story – that we evolved from apes, that we did so largely by natural selection, and that we’re related to every other plant and animal on Earth – that’s the ultimate source of wonder. The world becomes so much richer when you understand how it got to be the way it is.